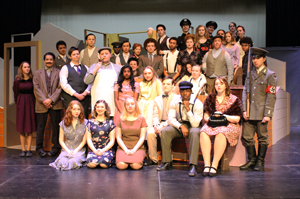 Catch the Fridley High School spring play, The Wall, on April 24-26 at 7 PM in the Fridley District Auditorium! General admission tickets will be available at the door. Fridley Public Schools is on a mission to make the district the best place to learn for students and we want to hear from parents and community members. Please join us for a community conversation on how we can make Fridley the best place to learn and the best place to work. To ensure adequate seating, please make reservations as soon as possible. This is a free event, but we are requesting all interested parties to RSVP to the event - Click here to RSVP. Please provide your name, email address, and child’s school (if applicable). For more information, please email communications@fridley.k12.mn.us. 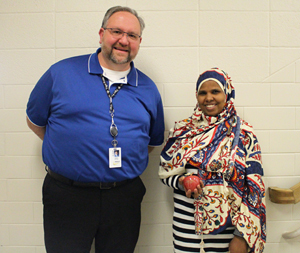 Fridley Public Schools April 2019 Employee of the Month is Kawsar Jama! Kawsar works as a community education instructor in 3-year-old classrooms in the district’s preschool program. She has been working with Fridley Community Education for two years and has also worked in 4-year-old preschool classrooms. According to Dr. Jason Bodey, Principal of Alternative Services (ALC and Fridley Preschool) Kawsar is an incredible asset to the Fridley Community Center. Kawsar has a deep understanding of students and their families, and takes extra time to show every 3-year-old why they are important. “Families find her comforting because she has a great perspective, and she is a Fridley parent,” said Bodey. 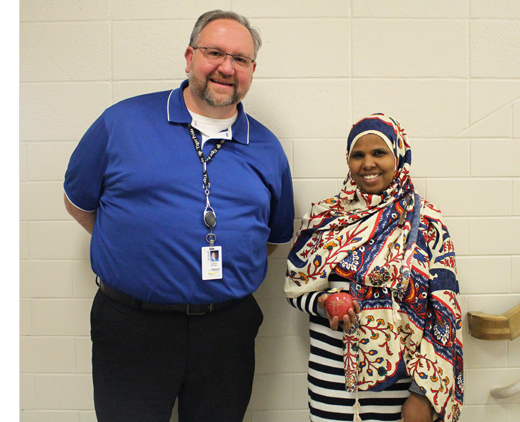 Additionally, Kawsar is fluent in Somali and is always willing to assist families if there is a language barrier. “She is truly a bridge between the school and our community and we are honored to work with her every day,” said Bodey. 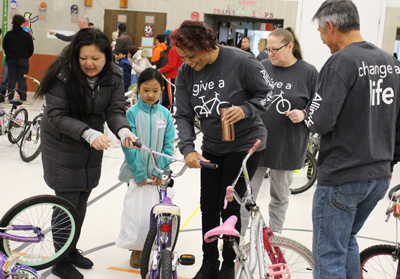 A record-breaking 450 bicycles were given to Fridley Public Schools families at the third annual Free Bikes for Kids event, hosted at R.L. Stevenson Elementary on April 13, 2019. 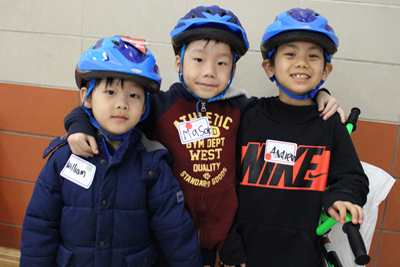 Each participating child and adult was fitted for a helmet and matched with a bike in the gymnasium, then headed to the cafeteria which served as a bike mechanic shop for the day. The event, organized by Allina Health, is held in partnership with two nonprofits: Free Bikes 4 Kidz (FB4K) and Bikes 4 Kids. 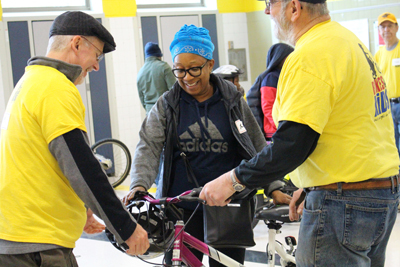 This year, the organizations held nine bike giveaway events across the metro area, with three additional events to be held this spring and early summer. 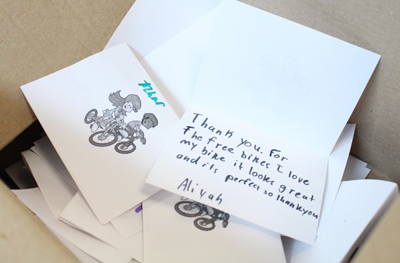 Every fall, Allina holds a community bike collection to gather gently used bikes. With thousands of bikes donated, volunteers from FB4K and Bikes 4 Kids clean and repair the collected bikes to ensure that all bikes are in top riding condition. 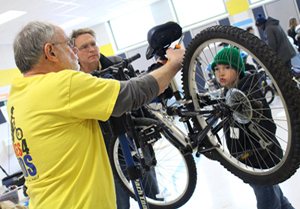 At the Stevenson event, Bikes 4 Kids volunteer mechanics helped to make last-minute adjustments to the bikes and tailored the fit to the needs of their new owners. Bicycles of all sizes were given away, from tricycles to mountain bikes. Bikes 4 Kids Executive Director Al Sannerud said his organization aims to serve entire households - providing bikes for the whole family. According to Craig Malm, Allina Director of Community Engagement, proactive and preventative care is part of Allina’s mission. 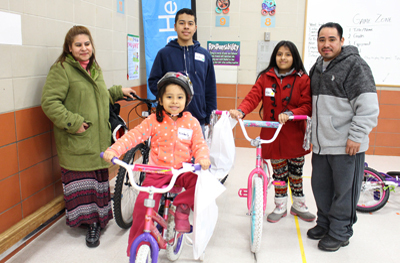 “We always want to promote healthy habits and holistic health, and for kids, what better way to encourage exercise than to provide a bicycle to everyone who wants one,” said Malm. Malm added that Fridley Public Schools is one of his favorite districts to work with, as there is never a shortage of staff volunteers and positive spirit. 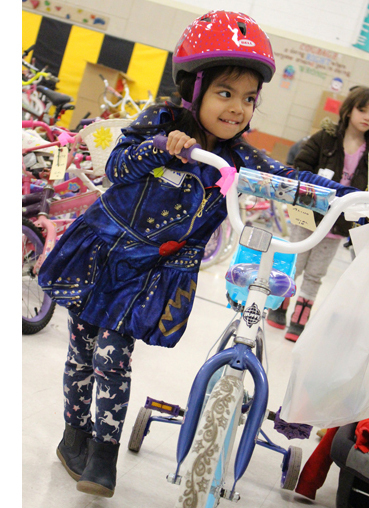 Superintendent Dr. Kim Hiel was also on hand to help families pick out the perfect bike. Hiel said it is these types of collaborations that are essential to serving the entire Fridley community. 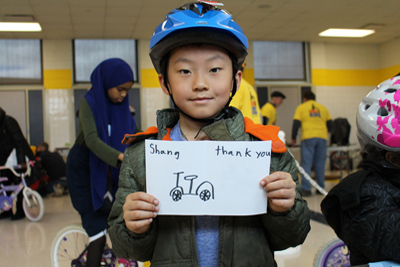 Students also had the opportunity to write thank you notes to the volunteers and organizations at the end of the event. 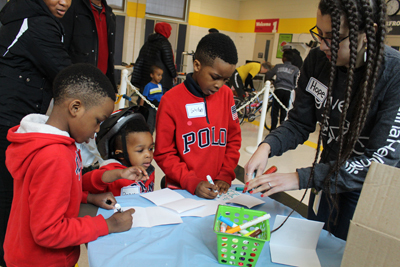 Stevenson family and cultural liaison Hope Laroche assisted with the thank you note station, and said that students were excited to express their gratitude. 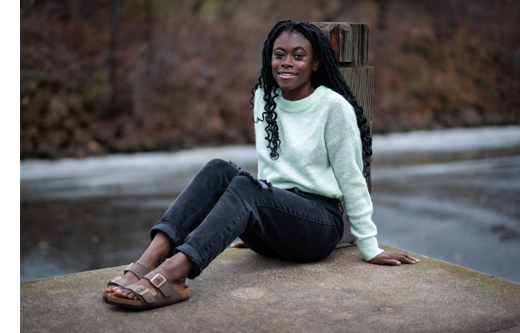 Congratulations to Fridley High School (FHS) senior Cece Lewis who is the 2019 FHS recipient of the Athena Award. Each year, the Athena Award is presented an outstanding female student-athlete at more than 50 Minneapolis metro area private and public high schools. Cece is a standout member of the FHS track & field team, competing in the 100, 200, and 400 meter dashes. She has competed at the state-level throughout her entire high school career. She is also a member of the AAU (Amateur Athletic Union) Minnesota track & field team. Cece joined the track team as a 7th grade student at Fridley Middle School. She enjoys the individual aspect of the sport, as well as competing with a team. In addition to track & field, Cece is on the FHS girls soccer team, as well as a member of the FHS Spanish Club and Key Club. She is incredibly thankful to her track coach Keelie Sorensen, or Coach K, whom she worked with during her freshman to junior year track seasons. In addition to Coach K, Cece is thankful for AVID teacher Dan Nalepka who has helped her become a better student. 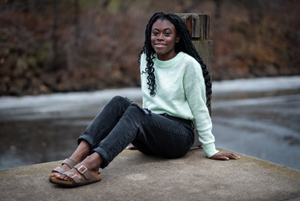 Cece will be attending Concordia College in St. Paul this fall and plans to pursue her interests in psychology and criminology. With a $10,000 track scholarship and multiple academic scholarships, nearly all of Lewis’ tuition will be covered. Cece and all Minneapolis metro area Athena Award recipients will be recognized at the 42nd annual Minneapolis Athena Awards luncheon on May 4, 2019.